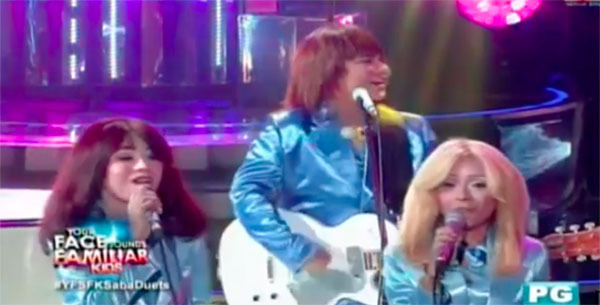 The TNT Boys Keifer Sanchez, Mackie Empuerto, and Francis Concepcion together with Sam Shoaf impersonates ABBA with “Mamma Mia” on Your Face Sounds Familiar Kids, Saturday, August 11, 2018. “You have a very good teamwork and your blending was so good,” said Sharon Cuneta. “Your vocal performance was so good. As a group, you sounded really great,” said Ogie Alcasid.